The label was kind enough to send me this album along with a few others (don’t worry, we’ll get to them). 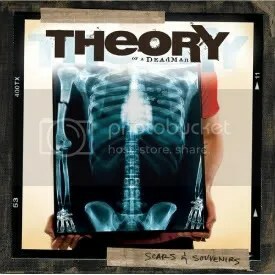 Let’s face it, Theory of a Deadman is not an original band. They have the Nickelback act down pat, the only difference is they aren’t quite as successful. Maybe they will reach that higher commercial status when they release their next album because this third album has done pretty well, selling 500,000+ copies with big rock radio hits like “So Happy”, “Bad Girlfriend” and “Hate My Life” to support it. I guess “Bad Girlfriend” is a decent tune about having a girl who is well, a bad girl, but there’s hardly much to distinguish this album from their last one (Same producer from their last album Gasoline, same Nickelback coattail riding) and there’s too many slow, reflective moments as if these songs were written to be included in a tender scene from a teen drama on The CW or part of a movie soundtrack. And something really bugs me about Tyler Connolly vocals. Yes, he hits the notes, but his voice is the epitome of the generic and bland status that the current mainstream hard rock scene displays. Then again, he’s aping Nickelback’s Chad Kroeger who is the template for this generation’s bland rock style of singing. For fans of current radio rock, this is probably a great album, but for me, it’s a definite pass. This is the type of hard rock that appeals to females that envision themselves as party animal rock chicks, but I can’t imagine a true male rocker actually enjoying this album. It’s interesting to note that producer Howard Benson , has produced all kinds of rock bands over the years, most notably (as far as this blog is concerned, anyway): Tuff, Motorhead, Pretty Boy Floyd and Bang Tango! 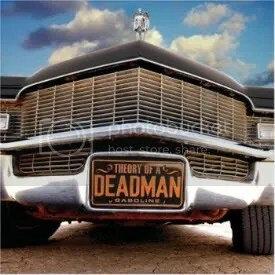 Theory of a Deadman (ToaD?) are very much the students of Nickelback. And why not? They’re on the same label, were discovered Nickelback singer Chad Kroeger and Kroeger co-wrote most of their first album with them, firmly setting the band on the path of “post-grunge” rock. Despite being unimpressed by their debut, I gave this album a shot because of “No Surprise”, which is a tale of a woman doing a man wrong. Hey, we can ALL relate, can’t we? It’s definitely the catchiest song of the bunch. The rest of the album isn’t too bad, considering I find all of the modern hard rock bands to be extremely bland. While I can pick a few songs off this album that I like, ToaD is basically a band for Nickelback fans.